While I am complaining of the recent hot weather in Facebook… I am actually missing the raining days that was raining non-stop at beginning of the month. 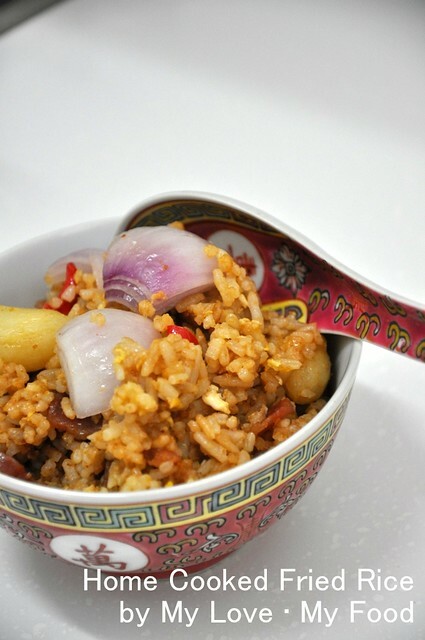 During that period of time, I practically yearn for fried rice. Funny is it?? I just do not know why but I only want fried rice. I don’t need fancy fried rice like other restaurants did. 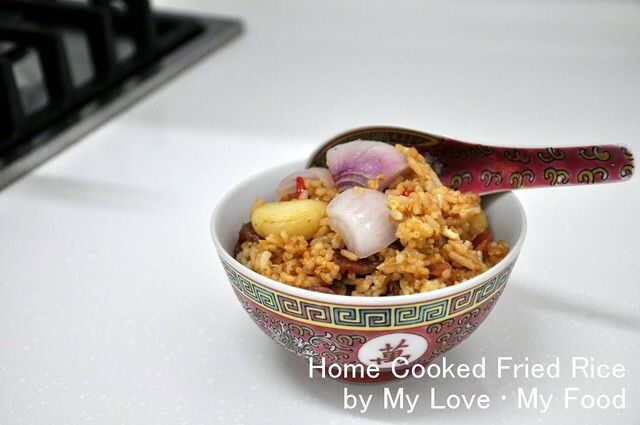 My type of fried rice is something that I called it my comfort food. 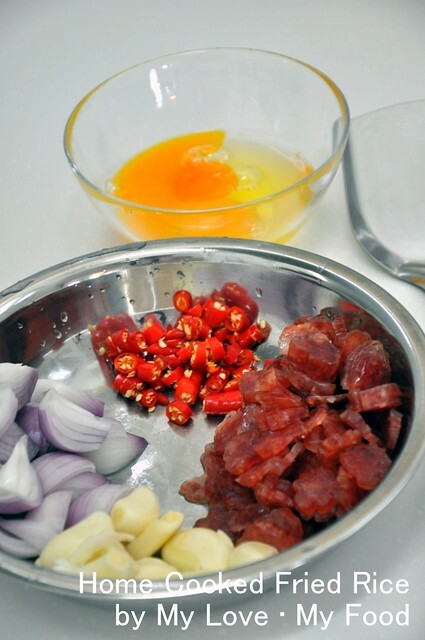 It’s just egg, onions, Chinese sausages and chili padi which cannot be missed and lots of lots of garlics! 2 bulbs of garlics, but I used about 8 to 9 bulbs of garlic. 5 to 6 chili padi, but if you like it more spicy, you can add more. Hmmm… that’s my comfort food for the raining days!!! This is so yum food and a comfort food for me too. even the best thing about it is that the preparation is so simple and less time consuming. Wow that will be amazing experience rain , food !!!!! !